The shuttleboards were one of the first Zorro II busboards available for the A500 if not the first. 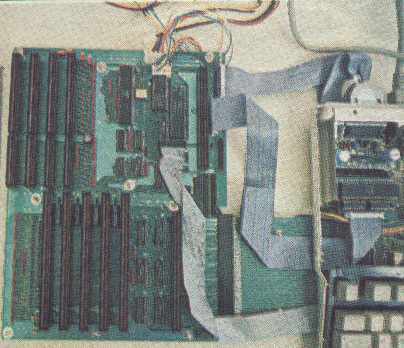 The basic board consisted of a large PCB containing Zorro II slots which was connected to the side expansion slot of the A500. 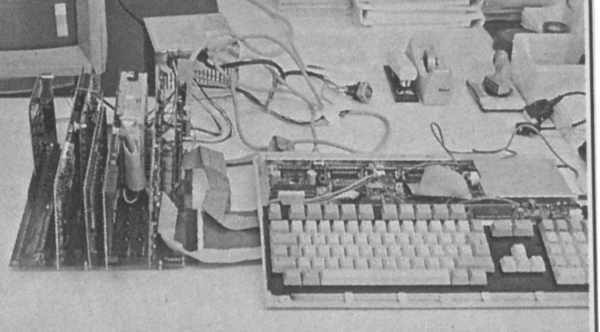 The board was also connected via ribbon cables to the Denise, Paula and Gary chips which was necessary for the functioning video and CPU fast slot. An additional power supply was needed to power the busboard as the standard A500 power supply was not sufficient. The board was highly compatible with most Zorro II cards which stood vertically up from the board. The downside was that the whole PCB was open-air and not contained in any form of case which would have provided protection. Later on Eagle also produced tower solutions to house both the A500 and its busboard. Apparently a connector for attaching a PC (large 5pin DIN) keyboard was also on the board.